Amazon has this week announced the launch of a new system to move large amounts of data to their AWS storage system either on a one-time or recurring basis. The Snowball hardware has been specifically built for efficient data storage and transfer and has been designed to be rugged enough to withstand a 6G jolt, yet light enough to the carried by one person. You simply request one or more from the AWS Management Console and wait a few days for the appliance to be delivered to your site. If you want to import a lot of data, you can order one or more Snowball appliances and run them in parallel. Once you receive a Snowball, you plug it in, connect it to your network, configure the IP address (you can use your own or the device can fetch one from your network using DHCP), and install the AWS Snowball client. Then you return to the Console to download the job manifest and a 25 character unlock code. 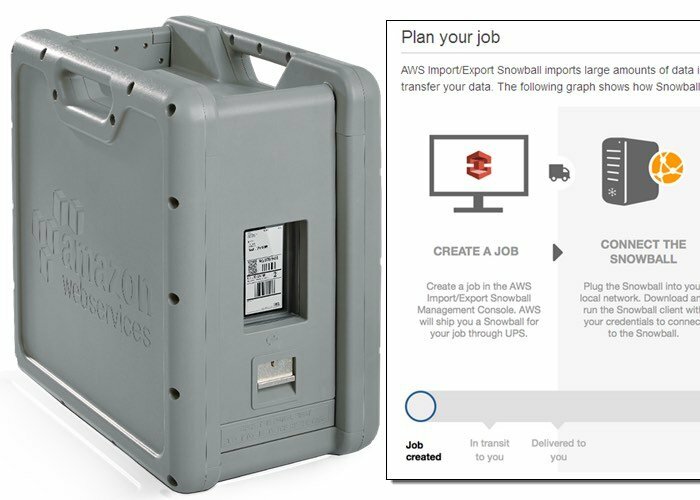 For more information on the new Amazon AWS Snowball data transfer system jump over to the Amazon website for details via the link below.